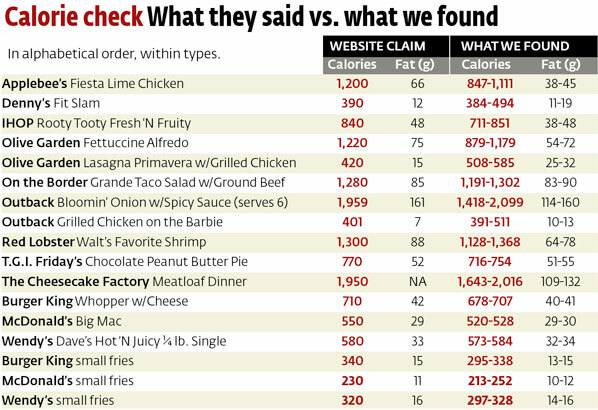 Rules for calorie labeling on restaurant menus: where are they? Remember menu labels? We’ve had them in New York City since 2008. In 2010, President signed national menu labeling into law as part of the Affordable Care Act. The FDA proposed rules for labels in 2011, collected comments on the proposed rules, missed the July 3, 2014 deadline for issuing them, and by all reports sent them to the White House Office of Management and Budget last April. What is the holdup? Lobbying of course. The delay on releasing the final rules is widely reported to be due to lobbying efforts by industry groups. Known to have visited the White House and FDA officials are, among others, the Food Marketing Institute, Publix Super Market, Schnuck Markets, Kroger, Dominos Pizza, the Pizza Hut Franchise Association and Hungry Howies. The Food Marketing Institute (FMI), the National Grocers Association (NGA) and Food Industry Association Executives (FIAE) held a lobbying “fly-in” to prevent FDA’s final menu labeling rule for calorie disclosures being extended to grocery stores. A bill backed by the supermarket industry is the Common Sense Nutrition Disclosure Act (H.R. 1249/S. 1756) which would require menu labeling only for establishments where the majority of business is derived from restaurant-type food. A CDC study reports that nearly all adults say they notice menu calorie labels, but only 57% say they use them. Research on the effectiveness of menu labeling has yielded mixed results and more research is needed, says a review published by the Robert Wood Johnson Foundation. One recent study says menu labeling has little influence on calories ordered regardless of how overweight people are. Menu labeling raises ethical issues related to population health and social equity, says another study. At the moment, studies of the effects of menu labeling are restricted to laboratory models or situations in New York and other cities that passed such laws within the last few years. More definitive research must wait for the final FDA rules and their application. How about releasing the rules soon? They’ve been dragging on way too long. USDA has a report out on consumers’ use of nutrition information in restaurants before the menu labeling law goes into effect. What law? The menu-labeling provision that is part of the Affordable Care Act still—four years later—waiting for the FDA to get around to issuing final rules (I last wrote about this in April 2013). These too were opened for public comment with the process expected to be completed in February 2014. Oops. Missed that one. Rumors are that the FDA is under pressure from pizza chains and movie theaters to be exempt from the final rules, and that the White House is holding them up. The White House has had them for 90 days. That’s supposed to be the limit. Have other healthy behaviors (such as having dark green vegetables at home). Rate their diets as good. SNAP participants? Really? If true, SNAP participants are more eager for calorie information than the general population, and good for them! These results explain much about the confusing findings from studies of New York City’s menu labeling law. These generally find no overall effect although calorie labels have a big effect on people who are conscious of health to begin with (me, for example). FDA: how about getting out the final rules? Then we can sit back and watch USDA economists compare what’s happening to these baseline results. Today I’m doing a roundup of items about menu labels. Remember them? The President signed calorie labels into law when he signed the health care act more than three years ago. The FDA has still not issued rules for them. The Associated Press tried to find out. There are very, very strong opinions and powerful voices both on the consumer and public health side and on the industry side, and we have worked very hard to sort of figure out what really makes sense and also what is implementable…menu labeling has turned out to be one of the FDA’s most challenging issues. Why? The restaurant and food industries don’t like it. They want exemptions for movie theaters, airplanes, bowling alleys and other businesses whose primary business is not to sell food. And alcohol, of course. And rumors continue that the White House Office of Management and Budget is holding them up. They certainly work for me. And it looks like they might work for other people too, especially if accompanied by traffic-light labels indicating calorie levels. Or so says a recent study from Oklahoma State. Calorie counts most influenced purchases when accompanied by a green light label for foods with less than 400 calories, a yellow label for foods with between 401 and 800 calories, and a red label on those with more than 800 calories. Are the posted calorie amounts accurate? With just a few exceptions, they are close enough not to worry about, says Consumer Reports. Come on, FDA, get the rules out so everybody can have as much fun with these as I do. I hope the rumors I’m hearing are not true. What sources are telling me is that the White House has decided not to allow the FDA to require calorie labels in movie theaters or anywhere else where selling food is not the primary business. If these rumors have any validity, this situation is a sad commentary on how corporate pressures are undermining Michelle Obama’s Let Move campaign. There is no practical reason that keeps movie theaters from posting calorie labels. Plenty are already doing it. New York City has had calorie labeling in movie theaters since 2008. And guess what? The world has not come to an end. It’s approaching three years since President Obama signed the Affordable Care Act, which authorizes national calorie labeling. But the FDA still has not issued final rules, reportedly because the White House is holding them up. The delay has left plenty of time for industry lobbying and pushback. If the new rules exempt movie theaters and other such places, New York will not be able to continue requiring them to post the information. That would be a significant setback. So would exempting prepared foods in chain groceries and convenience stores, as the Center for Science in the Public Interest makes clear. If you have concerns about this issue, send a message to Mrs. Obama at the White House. Menu labeling that covers movie theaters as well as fast-food places will help people make healthier food choices. It will also be a significant achievement of Let’s Move. In the meantime, I’m keeping fingers crossed that the rumors are false. For my monthly (first Sunday) Food Matters column in the San Francisco Chronicle, I devote the one in January every year to predictions. Last year I got them all pretty much on target. It didn’t take much genius to figure out that election-year politics would bring things to a standstill. This year’s column was much harder to do, not least because the FDA was releasing blocked initiatives right up to the printing deadline. Q: I just looked at your 2012 crystal ball column. Your predictions were spot on. But what about 2013? Any possibility for good news in food politics? A: Food issues are invariably controversial and anyone could see that nothing would get done about them during an election year. With the election over, the big question is whether and when the stalled actions will be released. The FDA will approve production of genetically modified salmon: Because these salmon are raised in Canada and Panama with safeguards against escape, the FDA finds they have no environmental impact on the United States. The decision is now open for public comment. Unless responses force the FDA to seek further delays, expect to see genetically modified salmon in production by the end of the year. Pressures to label genetically modified foods will increase: If approval of the genetically modified salmon does nothing else, it will intensify efforts to push states and the FDA to require GM labeling. Whatever Congress does with the farm bill will reflect no fundamental change in policy: Unwilling to stand up to Southern farm lobbies, Congress extended the worst parts of the 2008 farm bill until September. Don’t count on this Congress to do what’s most needed in 2013: restructure agricultural policy to promote health and sustainability. The FDA will start the formal rule-making process for more effective food safety regulations: President Obama signed the Food Safety Modernization Act in January 2011. Two years later, despite the FDA’s best efforts, its regulations – held up by the White House – have just been released for public comment. Lives are at stake on this one. The FDA will issue rules for menu labels: The Affordable Care Act of 2010 required calorie information to be posted by fast-food and chain restaurants and vending machines. The FDA’s draft applied to foods served by movie theaters, lunch wagons, bowling alleys, trains and airlines, but lobbying led the FDA to propose rules that no longer covered those venues. Will its final rules at least apply to movie theaters? Fingers crossed. The U.S. Department of Agriculture will delay issuing nutrition standards for competitive foods: When the USDA issued nutrition standards for school meals in January 2012, the rules elicited unexpected levels of opposition. Congress intervened and forced the tomato sauce on pizza to count as a vegetable serving. The USDA, reeling, agreed to give schools greater flexibility. Still to come are nutrition standards for snacks and sodas sold in competition with school meals. Unhappy prediction: an uproar from food companies defending their “right” to sell junk foods to kids in schools and more congressional micromanagement. Will the FDA insist on labels that actually help consumers make better choices? Will it require added sugars to be listed, define “natural” or clarify rules for whole-grain claims? I’m not holding my breath. Supplemental Nutrition Assistance Program participation will increase, but so will pressure to cut benefits: Demands on Snap – food stamps – reached record levels in 2012 and show no sign of decline. Antihunger advocates will be working hard to retain the program’s benefits, while antiobesity advocates work to transform the benefits to promote purchases of healthier foods. My dream: The groups will join forces to do both. Sugar-sweetened beverages will continue to be the flash point for efforts to counter childhood obesity: The defeat of soda tax initiatives in Richmond and El Monte (Los Angeles County) will inspire other communities to try their own versions of soda tax and size-cap initiatives. As research increasingly links sugary drinks to poor diets and health, soda companies will find it difficult to oppose such initiatives. Grassroots efforts will have greater impact: Because so little progress can be expected from government these days, I’m predicting bigger and noisier grassroots efforts to create systems of food production and consumption that are healthier for people and the planet. Much work needs to be done. This is the year to do it. McDonald’s will post calorie info on menus. Won’t it have to anyway? I’m puzzled by the huge media attention to McDonald’s announcement that it will post calories on menu boards. McDonald’s will have to do this sooner or later. By doing it now, it gets a public relations bonus. Why will it have to? Because the Affordable Care Act takes menu labeling national (see my previous post on this). When the Supreme Court ruled that the Affordable Care Act is constitutional, it made menu labeling constitutional. The FDA wrote proposed rules for menu labeling early in April. These, you may recall, contain exemptions for movie theaters and other venues. Note: There is still time to file complaints about the exemptions. Implementation of the rules can’t begin until the White House Office of Management and Budget releases them. It’s had them—along with food safety and other regulations—under consideration for months. Presumably, OMB will act eventually. McDonald’s looks like a champion getting out in front on this one. Other fast food places will have to post calories too. The only question is when.